Information technology is transforming the way individuals and governments interact with each other. Citizens can immediately access government services and information through technology. Internet, servers, Wi-Fi, cell phones, laptops, tablets and apps for electronic devices make reaching each other and completing tasks as simple as clicking a mouse or pressing an interactive screen. Likewise, governments can reach the public through their websites, mass email messages, videos and interactive apps. These technological advancements increase productivity at work and home, which saves time and money. It is no wonder citizens are concerned. On a daily basis, it appears the media is reporting security breaches of sensitive consumer information held by private business. Target, Home Depot and Chase Bank are a few examples where data breaches occurred. However, data breaches also occur within government agencies. The United States Government Accountability Office (GAO) reports, “The number of reported information security incidents involving personally identifiable information (PII) has more than doubled over the last several years.” Recently, the United States Postal Service announced a cyber intrusion into its information systems. The intrusion compromised employee data such as birthdates and Social Security numbers as well as consumer information based on call center data in the form of names, email addresses and phone numbers. Additionally, in August 2014, the Department of Homeland Security reported 25,000 government works PII was breached through their contracted vendor in the performance of government background checks. Security breaches also occur when government employees release PII. In 2013, Internal Revenue Service (IRS) employees posted several thousand Social Security numbers online of individuals who donated funds to tax-exempt political organizations. Although the IRS should disclose the names of the donors, it should not release the donor’s Social Security numbers. In March 2014, the IRS announced that one of their employees inadvertently took a non-encrypted computer thumb drive, which contained employee Social Security numbers and home addresses. The employee used the thumb drive at home on their personal computer, which was connected to the Internet. Although, the IRS states there are no reports of identity theft pertaining to this incident, the issue is serious enough to warrant the government’s consideration in how it secures sensitive information. The unintentional release or actual theft of sensitive consumer information is a national issue. 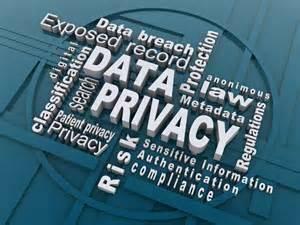 Data breaches harm the privacy of consumers and jeopardize the stability of the economy. Compromised data used to secure credit to facilitate fraudulent purchases costs citizens, businesses and government agencies millions in lost revenue. Most importantly, the effect a data breach has on a citizen is substantial. A data breach may affect a citizen’s credit rating, which may impede their ability to secure employment or housing. Additionally, a data breach concerning private health information may compromise a citizen’s ability to acquire employment or unduly create a situation in which the person is discriminated against. Citizens depend on e-governance access to facilitate an array of transactions. Information technology is embedded in society and is consumer driven. Citizens expect their access to technology is secure. Accordingly, it is imperative that government agencies provide ongoing training to their employees in securing citizen’s private information. Employees must be held accountable for any unauthorized release of citizens’ PII. Just as important, government agencies must ensure their servers, websites, computers and electronic applications are protected from cyber attacks. Daily monitoring of these systems may assist in early detection of a data breach, which can reduce the harm to the public. Government agencies must do all they can to ensure that citizen’s PII is secured.